Ptolemy designed the astrolabe (c. 150 AD) as an armillary ring, held vertically, on which was fit a diametrical cord with one sight at each of its ends. Arabic craftsmen (9th-11th centuries) improved the astrolabe to determine time from stellar or solar observations without use of tables, though it was limited to one century and one latitude. English poet Geoffrey Chaucer describes an astrolabe in detail in his Treatise on the Astrolabe (1381). The Astrolabe is useful in determining the altitude of objects in the sky. The astronomical term altitude means angle from the horizon and should not be confused with the aviation term meaning height above the ground. You will need a soda straw, a pin or needle, string or thread, a weight, a file folder or poster board, and glue. Follow the procedure below to construct the astrolabe. Glue the Quadrant below to the file folder or poster board. Carefully cut out the quadrant. Using the pin or needle push a hole through the quadrant at the center of the quadrant circle. Push the string or thread through this hole, knot it, and glue the knot in place so that the string will not slip out of the hole. Tie the weight on the other side of the string. Glue a length of soda straw onto the quadrant along and parallel to the side marked top. You may wish to put an eye shield over the straw as indicated in the drawing. Experiment: Use the astrolabe to find the altitude of Polaris (the North Star). Recall that you can find the North Star using the "pointer stars" at the end of the bowl of the Big Dipper. Extend the line between the pointer stars, going about five times their separation and you end up at Polaris. A. Length of straw in cm. __________. B. Radius of straw in cm. __________. C. (Radius of straw)/(Length of straw) _____________. If repeated attempts to find Polaris through your straw fail, shorten the straw. The field of view is now bigger. 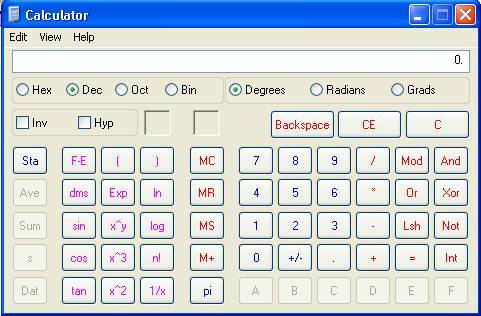 Calculate the new field of view. As you sight through the straw at Polaris, the weighted string will hang over the altitude on the quadrant circle. Measure the altitude of Polaris five separate times and take and average. The altitude of Polaris is close to your latitude. Please bring in your astrolabe with this page to receive credit for the exercise. Use this template to build your astrolabe.